Deadhead all your perennials and annuals! Deadheading throughout the garden season improves a plant’s appearance, controls reseeding, and redirects a plant’s energy from seed production to root and vegetative growth. For some plants it will prolongs the bloom period and can encourage a second bloom of flowers. Maybe you want to let some go to seed to harvest the seed and toss in your wildflower garden. 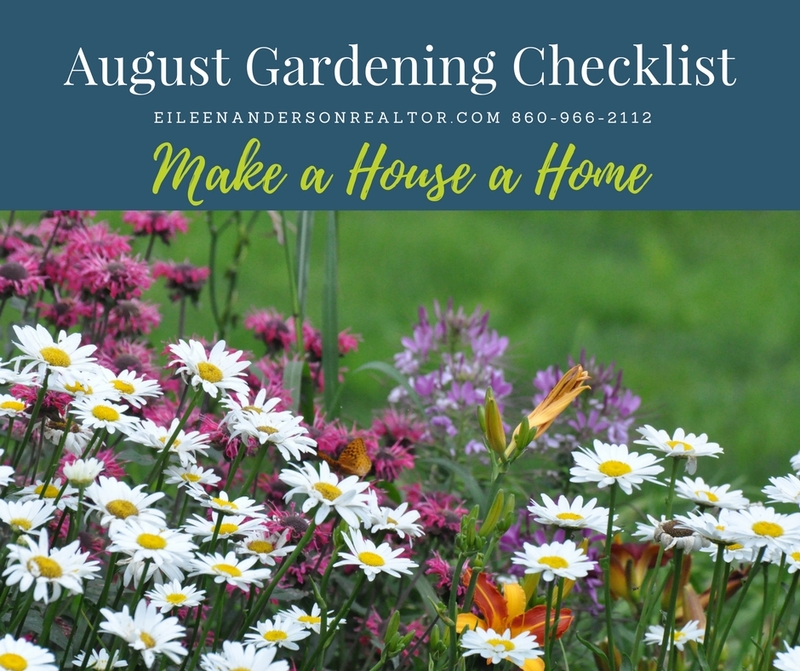 Keep your August gardening checklist handy for future use! Chrysanthemums with flowers in bud stage give you the longest bloom time to enjoy. Work in some compost to your gardens. The best time to control poison ivy is in August & September. Invasive vine control: cut bittersweet vine and use a paint brush to put round-up on it full strength. Don’t spray everywhere and use as little as possible. For more information on invasive plants control in Connecticut see UCONN’s safety and herbicide control information. Reduce watering & stop feeding roses to allow plants to harden harden over for the winter. Pruning will cause new “tender” growth that may not tolerate the cold conditions. Pick off “bad” as well as “good” when harvesting vegetables. Harvest onions & shallots when tops flop over & turn brown. Harvest sweet corn just before using it. Harvest when silks turn brown. Harvest fresh herbs for flavoring vegetable dishes. Also, clip off & save dry seed heads of dill, caraway & anise. Prevent spread of disease by harvesting beans, tomatoes, peppers & cucumbers only when plants are dry. Don’t add diseased plants to the compost pile. Cut flowers for arrangements early in the day. Dig potatoes after vines have died. Flowering trees & shrubs (azalea, forsythia, flowering cherry, lilac…) are starting to manufacture dormant buds for next spring’s flowers & must be watered often if rainfall is infrequent. Tropical temperatures signal the return of spider mites on Arborvitae, Pines & Spruce. Treat properly. Clean shears with alcohol between cuts when pruning diseased branches. Prune pink & blue Hydrangeas after blossoms have faded (Just flower heads). Avoid pruning evergreens during August. Pruning will stimulate new growth. Inspect lawns for white grubs (immature beetles). If more than 6 grubs per square foot, apply grub control. Uncontrolled crabgrass is going to seed, with each plant producing 60,000 seeds. Spring care is required with 4 step program. 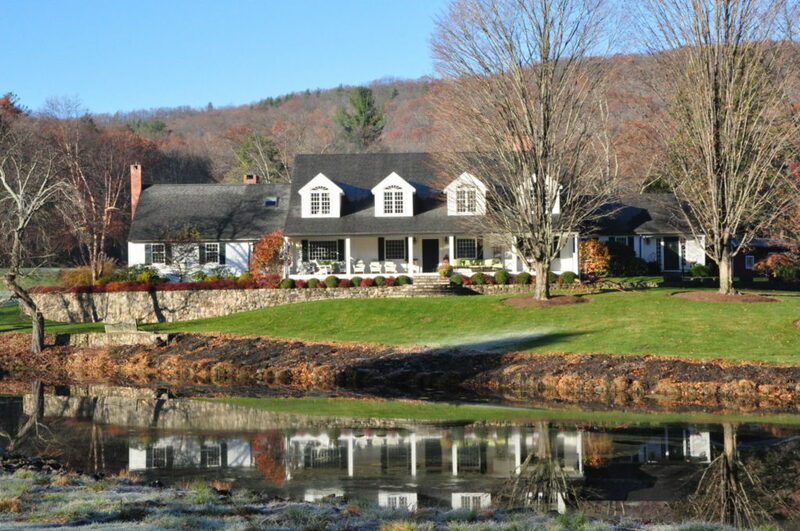 For fall lawn care DE-thatch the lawn the end of August, followed by re-seeding in early September. Debug houseplants before bringing them back indoors. will promote constant flowering to November.